This, a question asked of me this week by a Crown attorney regarding my presence at a recent court hearing involving a suspected drunk driver. The case dated back to 2006. In the end, Judge Sid Lerner chose to acquit the 47-year-old man (now of Calgary) of driving while impaired. There were no injuries in the case. Lerner’s reasons were simple. The Crown’s evidence in terms of identification of the suspect were themselves suspect and “tainted” by the arresting officers. There was a crash in the North End, and a suspect fled the scene. Police caught up with him behind his own home and brought witnesses to the scene where they identified the man as the driver. At the time he was identified by them, he was sitting handcuffed in the back of a cruiser car. “The unfairness” of the above identification method was prejudicial, Lerner stated. Police methods “clearly tainted” and had a “contaminating effect” on the identification-investigative process. UPDATE: Forgot to mention that the ID evidence was tossed even though the suspect had a set of keys a broken light from the car in his possession at the time of his arrest. During trial — one of the witnesses who stated he got “a decent look” at the driver involved in the crash testified that he was simply describing the accused in court. As well, the admissibility of statements given to police by the accused was challenged during a voir dire and tossed out. Both factors contributed to a lost prosecution, one that was set down for trial initially in April 2008, delayed till the next year, and finally wrapped up five years — five years! — after the suspect’s arrest. Personally, I don’t remember what I had for breakfast (actually I do, it was nothing.) But realistically, how can a witness reasonably be expected to remember finer details of an event (one where things happened in rapid-fire succession) half a decade after they happened? I’ve said here before that drunk driving cases are among the most hotly litigated simply because the stakes — a criminal record, the loss of one’s privilege to drive and the prospect of public humiliation — are so high for so many. For many people, it’s worth the cost of a good defence lawyer to delay, delay, delay and ultimately fight the allegations, make Charter challenges about abuse of process, police tactics, etc. 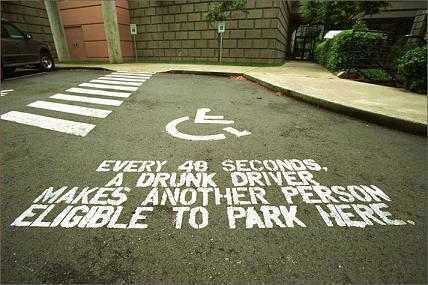 I can point to a number of recent DUI-related cases in Manitoba’s provincial court where these factors loom large. Here’s but a few: here, here, here. Anyhow, I said something to the prosecutor about ‘justice delayed is justice denied’ and it was apparent he wasn’t really buying that. To him, there was no story here, but I get why. He sees the same things go on day after day after day. Files left hanging for years, the guilty walking free. It’s part and parcel of his job. But to me, and I suspect some members of the public, a person police said was a drunk driver who walked free is a story. I’ll leave it to you to decide why.